"My lenses arrived on time and I used it right away..Man, it's so comfortable!!! Will order again!" Neo Vision Ruby Queen Blue lenses, create a very cute look with its charming pattern of rubys, adding charm to any look without giving up comfort. 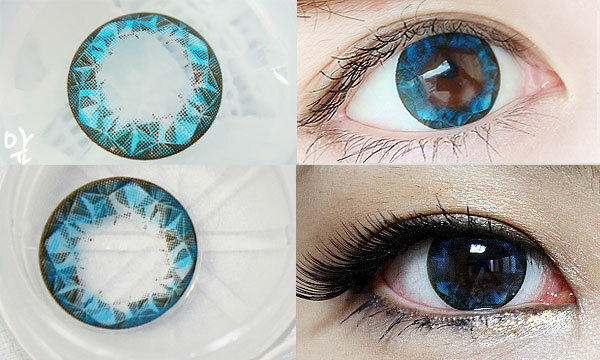 Very nice lenses for any kind of eyes. I have dark brown eyes, and when I put my lenes on, the color looked exactly as it does on the model, its a dark blue tone, and the pattern makes it have a very pretty kind of sparkly effect as one can see in the picture. This is my first pair of circle lenses and thus far, I am very satisfied with them. Much like on the model, if you have dark brown eyes, the contacts have a rich deep dark blue effect. I love them.